This Sessa Key Largo 23 is in a mint condition. 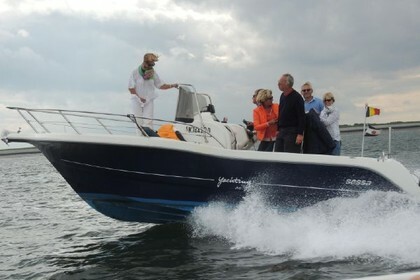 Equipped with a 225 Marniner engine it makes this sport boat ideal for fishing or even waterskiing. It belongs to the first owner and it has always been stored indoors during the winter months. It comes with to covers and a biminitop. The boat is sold with a double axe trailer.